Log clear, easy to understand notes that every shift manager can read to prevent miscommunication and costly misunderstandings. Clear shift notes and good communication make shift transitions smooth and trouble-free. park managers have unique needs, and Zip Shift Book understands. Made with bar service in mind, find tools, features, and resources to help grow your brand. Thousands of bars choose Zip Shift Book to keep records of each shift. Use our digital logbook to track daily activities, needed repairs, shift notes, and last-minute schedule changes. With this digital logbook, you will always know what maintenance items need your attention. Reduce surprises, reduce accidents, reduce added costs. 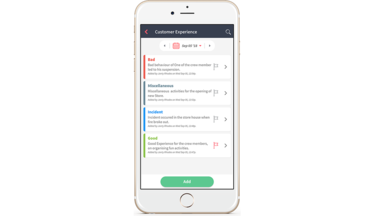 Log and track customer comments, complaints, and suggestions all in one place to improve the customer experience. Review logs to find patterns, make a plan for improvements and promotions, implement changes, all in real-time. 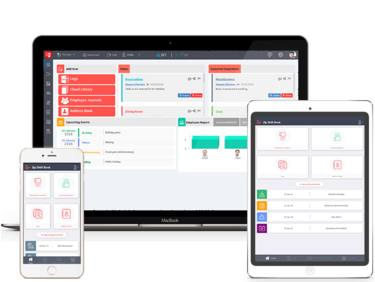 Keep detailed notes in your digital logbook to track employee attendance, conduct, and availability so scheduling is simple, fast, and easy. Your digital logbook is the perfect place to track commendations for a job well done or to plan and record disciplinary action. See real-time updates to the digital logbook so all managers are kept in the loop. Never feel lost--our fast, friendly, and free support is here to help. Generate fast reports in seconds to help track, identify, and solve inconsistencies or small problems before they can turn into giant issues. Zip Shift Book can be used on phones, tablets, and other mobile devices, as well as accessed via web page. 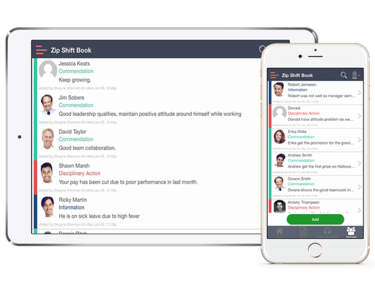 Zip Shift Book is compatible with a host of other powerful and affordable productivity apps to enhance its features and expand your business.